Business (Entertainment) Tip #4: Everybody Loves You When You’re Dead. Looking for an interesting read? Neil Strauss’s book (same title as above advice) is a good choice. Though a disclaimer: be prepared to have more respect after reading for Slipknot & Bruce Springsteen and considerably less for the singer of The Strokes & Joni Mitchell. 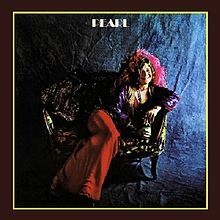 Which makes Buried Alive in the Blues a standout here, as Janis died before recording a vocal track. Pearl was released posthumously, with nine strong vocal performances rounding out the set. I’m not sure how her voice would have fared in later years. Perhaps it would have followed a similarly tragic trajectory to that of Billie Holiday, perhaps not. We’ll never know, but Pearl confirmed at least that as a 27-year old, she could belt out the blues with the best of ’em.